BP increases normally with age, as known for more than half a century; yet guidelines for what is said to be “normal” and what is called “hypertension” ignore the correlation with age. The guidelines are not based on pertinent data because the dependence on age is not properly taken into account. It’s no wonder, then, that the guidelines were changed in one way in 2013 and in the opposite way just four years later. At the end of 2013, the most authoritative recommendations for managing blood pressure stated that “There is strong evidence to support treating hypertensive persons aged 60 years or older to a BP goal of less than 150/90 mmHg and hypertensive persons 30 through 59 years of age to a diastolic goal of less than 90 mmHg; however, there is insufficient evidence in hypertensive persons younger than 60 years for a systolic goal, or in those younger than 30 years for a diastolic goal, so the panel recommends a BP of less than 140/90 mmHg for those groups based on expert opinion” [emphases added]. Note first that the criterion for describing someone as “hypertensive” is based on insufficient evidence, which has not prevented modern medicine from being quite dogmatic about calling people of any age hypertensive when their BP exceeds what is the common average in healthy 30-40-year-olds, namely about 140/90. Then note that the goal of ≤150 systolic not as low as what had been recommended dogmatically for the previous three decades or more. And then contemplate how to value “expert opinion” that is based on insufficient evidence. In “Don’t take a pill if you’re not ill” I made a point I’ve not seen elsewhere: population-average numbers for blood sugar, cholesterol, and BP are taken as the desirable upper limits and medication is administered to lower everyone’s numbers to those levels; yet no consideration is given to raising the numbers if they are lower than the average, even as there is evidence that, for example, higher cholesterol is good for older people since it is associated with lower mortality (1, 2). If the population average is more desirable than higher numbers, why aren’t the averages regarded as better than lower numbers as well? In “Everyone is sick?” I cited the Institute of Medicine finding that measures like (and including) BP are not symptoms of illness even as they are treated as such; discussed further re BP in “‘Hypertension’: An illness that isn’t illness”. “60 MINUTES on aging — correlations or causes?” cited the finding that mini-strokes in older people were less frequent with higher blood pressure, the very opposite of the official dogma. So now in 2017 the guidelines call for significantly lower BP than the 2013-14 set, namely “normal (<120/80 mmHg), elevated (120-129/<80 mmHg), stage 1 hypertension (130-139/80-89 mmHg), or stage 2 hypertension(³140/90 mmHg)”; though it is conceded that this is merely a “strong recommendation” based on “moderate-quality evidence” (3). Defining hypertension as ≥130 makes it likely that some of this “moderate-quality” evidence came from the SPRINT trial, which concluded (4) that “Among patients at high risk for cardiovascular events but without diabetes, targeting a systolic blood pressure of less than 120 mm Hg, as compared with less than 140 mm Hg, resulted in lower rates of fatal and nonfatal major cardiovascular events and death from any cause, although significantly higher rates of some adverse events were observed in the intensive-treatment group” [emphasis added]. There is here a conundrum: How could there be lower rates of “fatal and nonfatal major cardiovascular events” when Table S5 in the Supplementary Appendix reports only 118 “Serious Adverse Events and Conditions of Interest Classified as Possibly or Definitely Related to the Intervention” under standard treatment (to ≤140) by contrast to 220 under the intensive treatment? With the latter confirming “significantly higher rates of some adverse events were observed in the intensive-treatment group”? At any rate, all these data are incapable of delivering a meaningful answer about possible risks posed by high BP. Since BP increases with age, the only way to detect its possible risk would be to monitor the health and mortality rates of cohorts of people of the same age, and this is not the case in the SPRINT Trial. There are plenty of other reasons to be wary of the SPRINT study. The Supplementary Appendix asserts that “All components of the SPRINT study protocol were designed and implemented by the investigators. The investigative team collected, analyzed, and interpreted the data. All aspects of manuscript writing and revision were carried out by the coauthors. The content is solely the responsibility of the authors”. But which ones exactly? There are 6 pages of names; there were 102 clinical sites; a trial coordinating center and centers for MRI reading and electrocardiography reading; an independent data and safety monitoring board; institutional review boards at each clinical site; and a steering committee (13 members) and a writing committee (members not detailed in the Appendix). When everyone is responsible, then in practice no one is responsible. Ø Who conceived the idea of testing more stringent criteria than formerly for controlling BP? Ø What data stimulated that idea, given that the 2013 guidelines cited above revealed a lack of evidence for a systolic goal in persons younger than 60? BP increases normally with age, as known for more than half a century; yet guidelines for what is said to be “normal” ignore the correlation with age. The guidelines are not based on pertinent data but on admittedly “moderate-quality” evidence; that is actually of much lower quality than that because it does not offer age-specific information. Schatz et al., “Cholesterol and all-cause mortality in elderly people from the Honolulu Heart Program: a cohort study”, Lancet, 358 (2001) 351-5. 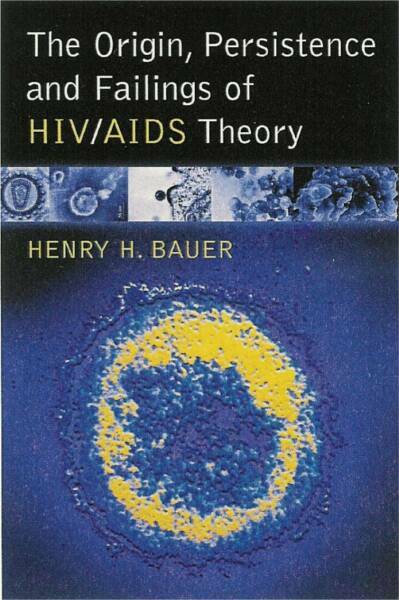 Chapter 3 in Joel M. Kaufmann, Malignant Medical Myths, Infinity Publishing, 2006; ISBN 0-7414-2909-8. Adam S. Cifu & Andrew M. Davis, “JAMA Clinical Guidelines Synopsis: Prevention, detection, evaluation, and management of high blood pressure in adults”, JAMA; published online 20 November 2017; Clinical Review & Education, E1-3. The SPRINT Research Group, “A randomized trial of intensive versus standard blood-pressure control”, New England Journal of Medicine, 373 (2015) 2103-16. Science is broken: Perverse incentives and the misuse of quantitative metrics have undermined the integrity of scientific research is the full title of an article published in the on-line journal AEON . I learned of it through a friend who was interested in part because the authors are at the university from which I retired some 17 years ago. The article focuses on the demands on researchers to get grants and publish, and that their achievements are assessed quantitatively rather than qualitatively, through computerized scoring of such things as Journal Impact Factor and numbers of citations of an individual’s work. I agree that those things are factors in what has gone wrong, but there are others as well. The AEON piece is an abbreviated version of the full article in Environmental Engineering Science (34  51-61; DOI: 10.1089/ees.2016.0223). I found it intriguing that the literature cited in it overlaps very little with the literature with which I’ve been familiar. That illustrates how over-specialized academe has become, and with that the intellectual life of society as a whole. There is no longer a “natural philosophy” that strives to integrate knowledge across the board, from all fields and specializations; and there are not the polymath public intellectuals who could guide society through the jungle of ultra-specialization. So it is possible, as in this case of “science is broken”, for different folk to reach essentially the same conclusion by extrapolating from quite different sets of sources and quite independently of one another. The character of research activity has changed out of sight since the era or “modern science” began; for example, the number of wannabe “research universities” in the USA has tripled or quadrupled since WWII — see “Three stages of modern science”; “The science bubble”; chapter 1 in Science Is Not What You Think [McFarland 2017]. This historical context shows how the perverse incentives noted by Edwards and Roy came about. Honesty and integrity, dedication to truth-seeking above all, were notable aspects of scientific activity when research was something of an ivory-tower avocation; nowadays research is so integrated with government and industry that researchers face much the same difficulties as professionals who seek to practice honesty and integrity while working in the political realm or the financial realm: the system makes conflicts of interest, institutional as well as personal, inevitable. 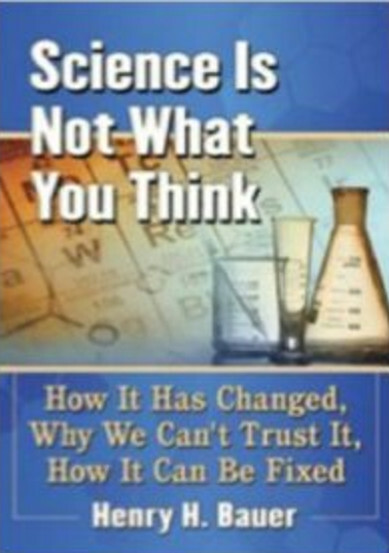 John Ziman (Prometheus Bound, Cambridge University Press) pointed out how the norms of scientific practice nowadays differ from those traditionally associated with science “in the good old days” (the “Mertonian” norms of communality, universality, disinterestedness, skepticism). My special interest has long been in the role of unorthodoxies and minority views in the development of science. 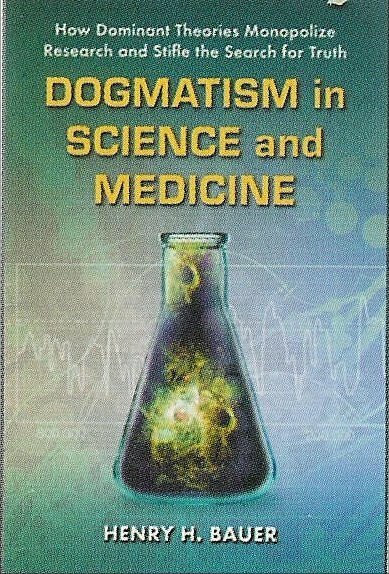 The mainstream, the scientific consensus, has always resisted drastic change (Barber, “Resistance by scientists to scientific discovery”, Science, 134  596–602), but nowadays that resistance can amount to suppression; see “Science in the 21st century”; Dogmatism in Science and Medicine: How Dominant Theories Monopolize Research and Stifle the Search for Truth [McFarland, 2012]). Radical dissent from mainstream views is nowadays expressed openly almost only by long-tenured full professors or by retired people. I’m in sympathy with the suggestions at the end of the formal Edwards and Roy paper, but I doubt that even those could really fix things since the problem is so thoroughgoingly systemic. Many institutions and people are vested in the status quo. 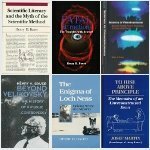 Thus PhD programs will not change in the desired direction so long as the mentoring faculty are under pressure to produce more publications and grants, which leads to treating graduate students as cheap hired hands pushing the mentor’s research program instead of designing PhD research as optimum for neophytes to learn to do independent research. The drive for institutional prestige and status and rankings seems the same among university leaders, and they seek those not by excelling in “higher education” but by winning at football and basketball and by getting and spending lots of grant money on “research”. How to change that obsession with numbers: dollars for research, games won in sports? That attitude is not unique to science or to academe. In society as a whole there has been increasing pressure to find “objective” criteria to avoid the biases inherent inevitably in human judgments. Society judges academe by numbers — of students, of research expenditures, of patents, of magnitude of endowment , etc. — and we compare nations by GDP rather than level of satisfaction among the citizens. In schools we create “objective” and preferably quantifiable criteria like “standards of learning” (SOLs), that supersede the judgments of the teachers who are in actual contact with actual students. Edwards and Roy cite Goodhart’s Law, which states that “when a measure becomes a target, it ceases to be a good measure”, which was new to me and which encapsulates so nicely much of what has gone wrong. For instance, in less competitive times, the award of a research grant tended to attest the quality of the applicant’s work; but as everything increased in size, and the amount of grants brought in became the criterion of quality of applicant and of institution, the aim of research became to get more grants rather than to do the most advancing work that would if successful bring real progress as well as more research funds. SOLs induced teachers to cheat by sharing answers with their students before giving the test. And so on and on. The cart before the horse. The letter of every law becomes the basis for action instead of the human judgment that could put into practice the spirit of the law.